I'm Visiting Tokyo. What Are The Best Free Things To Do? 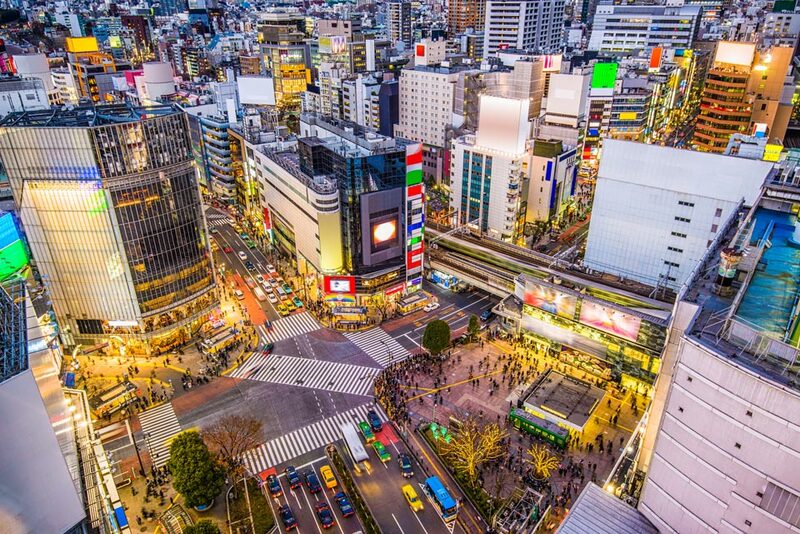 Tokyo, the busy capital of Japan, is one of the most developed and prosperous cities in the world. However, in spite of its significant development over the years, the city has successfully preserved the ancient culture and traditions of Japan. This makes touring the city a must for all travel enthusiasts, particularly those who love experiencing new cultures. Individuals, who are wondering whether it's possible to plan a trip to Tokyo on a budget, would be happy to know that there are many free things to do in Tokyo. Many of you may have seen the Shibuya crossing in videos and films and loved it. It is described by many as the busiest intersection in the world. However, the actual experience of walking along the crossing would be completely different and even more mesmerizing. Many say that Shibuya represents the actual culture of Japan. They are true to an extent as this crossing would give you a snapshot of various people living in Japan (belonging to different race, ethnicity, and religion). At nights it is even more impressive when the neon lights brighten the intersection. Shibuya intersection. Perhaps the busiest crossing in the world. Harajuku is possibly the most sought after marketplace in Tokyo. It's a must visit place for those fond of youth and Kawaii fashion. Buying items from this marketplace would surely require you to spend money. However, individuals looking for free things to do would also find the place equally charming. They can spend hours checking out items displayed in various shops. Harajuku would allow you to have a sneak peek at everything starting from tank tops with leopard prints and funky contact lenses to outrageous accessories and trendy makeup items. 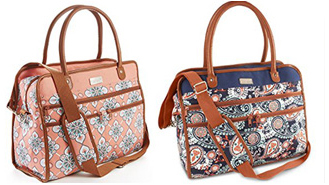 If you are too traditional when it comes to your fashion choice, you may find the collections of Harajuku a bit weird. However, still, do make it a point to pay a visit to this Tokyo marketplace as it's a great place to buy souvenirs for friends and family back home (particularly for young people you know). Ah! Beers! For those who don't know, Ebisu is possibly one of the most cherished brews of Japan. Paying a visit to the Yebisu Beer Museum would help you get acquainted with the product on the whole and the history of this popular brand. Entry to the museum is free; however, if you opt for guided tours and taste samples, you will have to spend a small amount. In spite of the fact that it's not the highest observatory the city has, visiting the Tokyo Metropolitan Government Building Observation Decks would be worth it. There's no other free-to-visit observatory in Tokyo that would allow you to have a breathtaking look at the city than at Observatory No. 1 at TMG. The observation deck is 202 meters tall and besides offering an amazing view of the city, it also houses a toy park for kids and a restaurant serving delicious Japanese dishes. 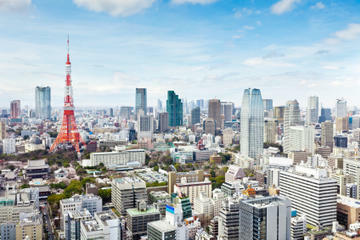 You can get spectacular views from the observation deck of the Tokyo Metropolitan Government Building. The showroom occupies the first four floors of the 11-story Sony Building. You can spend some time in the showroom checking out the latest products launched by Sony (you might also get to play with items that are not yet made available to the general public). You would be able to play with and learn about almost all the high-tech gadgets marketed by the company. What's even more exciting is that you might even get the opportunity of testing the latest version of PlayStation software. Some other Tokyo showrooms that you can visit for free and have a lot of fun include the Panasonic Center, Nissan Gallery, MEGA WEB by Toyota, and so on. The exhibits of Tako-No-Hakubutsukan or the Kite Museum primarily include the traditional Japanese kites. Here, you would get to see various kinds of classic Japanese kites including a series of Edo Nishiki-E Dako. There are also quite a few kites belonging to other Asian territories like China. Right now, Tako-No-Hakubutsukan has more than 3,000 kites and the number is growing constantly. Reaching the museum is easy. It's situated in the downtown region of the city. 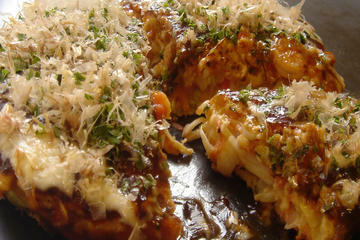 Tsukiji, which happens to be the world's biggest seafood market, is situated right in the center of the city of Tokyo. Earlier, the market was located in a different part of the city, but in 2016 it was moved to its current location. Tsukiji is primarily known for the tuna auction it houses every morning. The auction starts at 5 am and has very limited space. It's mandatory that you arrive at Tsukiji at least half an hour in advance as the seats get full very quickly. As the auction can be attended free of cost, seats get reserved on a first come, first served basis. You will be fascinated to see how disciplined the auction is. Both buyers and vendors have some specific body language symbols; these symbols are used for speeding up the deals. 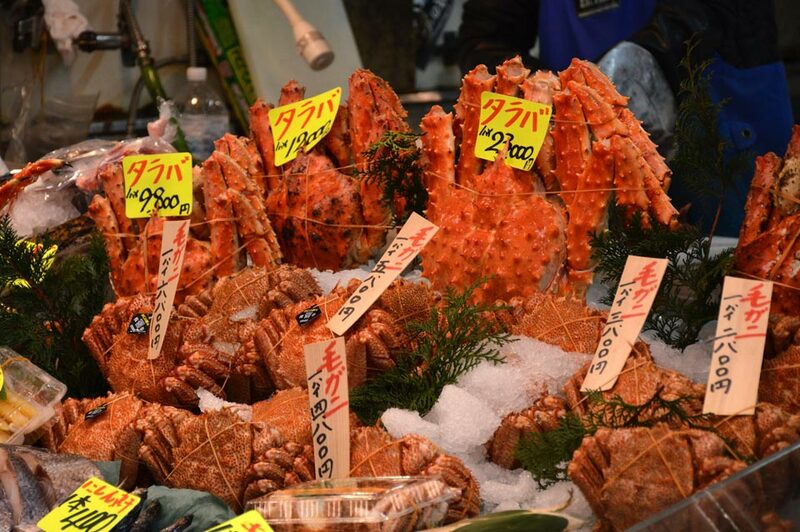 You can also check out the rest of the Tsukiji market where you will find many different kinds of fish, crabs and lobsters. Please note that the inner market of the Tsukiji Market is scheduled to close on October 6th, 2018. It will move to a new site in Toyosu and will reopen as the Toyosu Market on October 11th. Crabs on sale at the Tsukiji Market. When touring Tokyo, you must not forget to visit a sumo stable. A sumo stable is a place where the sumo wrestlers train and live. Right now, the city is home to as many as 50 such places. Ideally, you should visit sumo stables early in the morning. This would allow you to catch a glimpse of the practice sessions of the hefty wrestlers. When in Tokyo, you will get several opportunities to see amazing performances for free. In fact, if you do a little research, you will find at least one such show taking place every single day. You will be amazed to see the incredible variety you would come across. There are exhibitions that can be visited for free. Magic shows and musical concerts can also be attended free of cost. If you are lucky, you might even get to witness sumo wrestlers fighting it out. 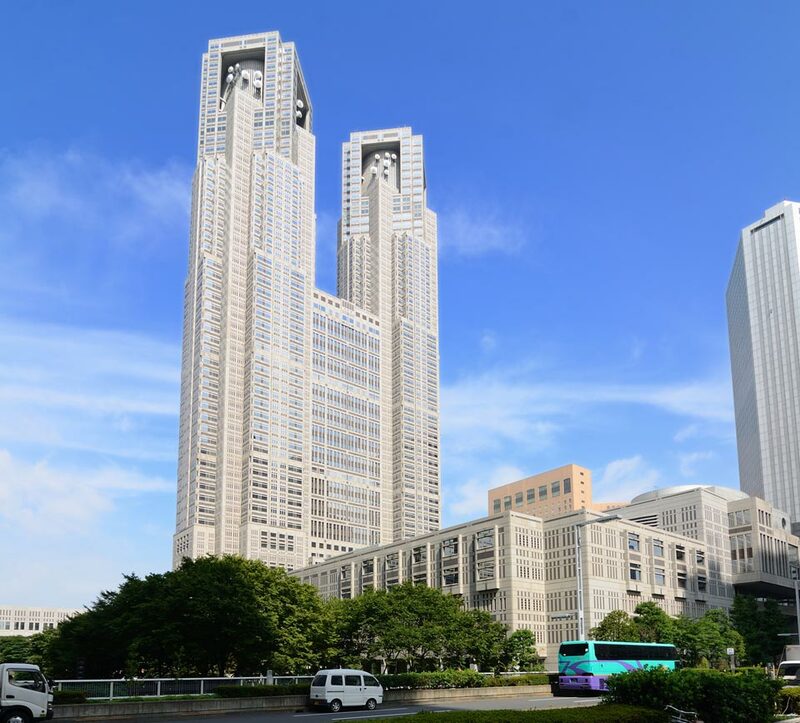 Individuals visiting the city with kids must spend some time at the Tokyo Metropolitan Children's Hall. This children's hall keeps hosting fun and free activities for kids all through the year. Some of the museums with free entry you can check out include SCAI The Bathhouse (contemporary art gallery), Mizuma Art Gallery (contemporary art), Espace Louis Vuitton (contemporary art from local and international artists), and WISH LESS (features art, products, fashion and music). 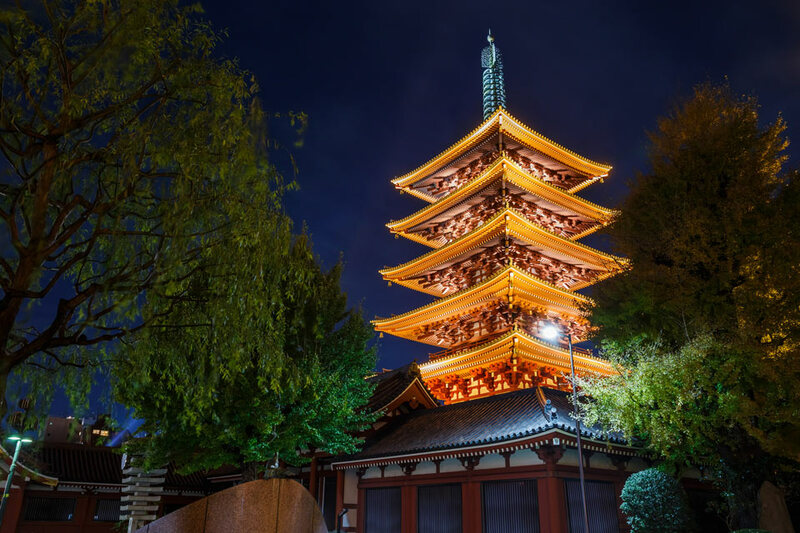 The Senso-Ji is surely one of the most visited Buddhist temples the city of Tokyo has. People from different corners of Tokyo (as well as other Japanese territories) come to this Asakusa-based temple to pay their respects. For tourists, this place of worship is a must visit as it would introduce them to the idea of Japanese spirituality. The two most amazing things about Senso-Ji are that it allows free admission to all and remains open all through the day. If you want to avoid crowds, it would be wise to plan your visit either very late in the night or extremely early in the morning. Individuals visiting Senso-Ji early in the morning would also get a chance to shop at Nakamise Dori. For those who don't know, its street is laden with around 90 shops. Sensoji is one of the most visited Buddhist temples in Tokyo. Your visit to Tokyo will remain incomplete if you don't spend some time at one of the city's depachikas or food basements. The majority of the large department stores (food basements are found at most Mitsukoshi, Isetan, Takashimaya, and Matsuya stores) in this part of the world are home to wide-ranging food basements. Visiting one such food basement would allow you to have a look at various kinds of specialty food; you will also get to have some delicious Japanese dishes packed. However, the best thing about them is surely the opportunity of tasting free samples. There are few other places in Tokyo that are greener than the Yoyogi Park. This makes the park a perfect spot for going for a peaceful afternoon walk. Yoyogi Park is home to a lot of trees native to different parts of Japan which are mostly planted by enthusiastic volunteers. Right now, the park is home to more than ten thousand trees. The ideal time to visit Yoyogi Park is autumn; that's because during this time the ginkgo biloba plants of the park undergo a magical and magnificent transformation. The park, which otherwise appears to be a green and thick forest, turns into a parkland with gorgeous yellow hues during this time of the year. 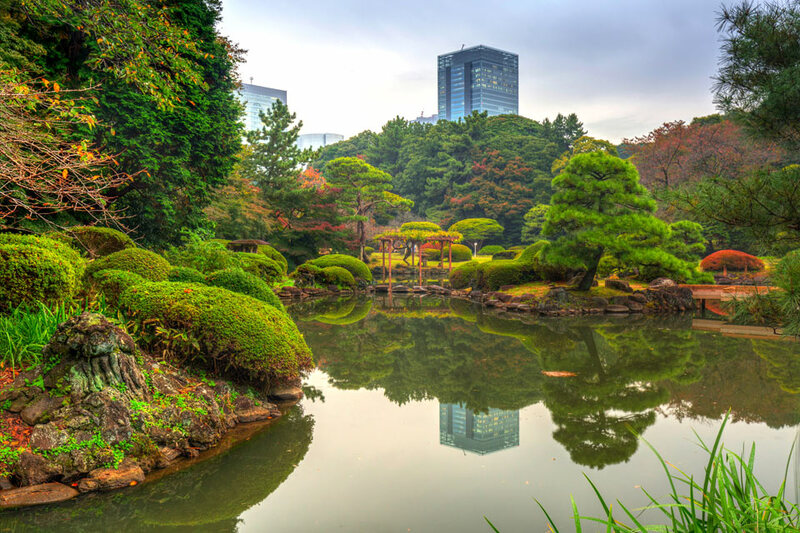 One of the park you should also check out is the Shinjuku Gyoen. It is one of the largest and most popular parks in Tokyo. Some of the highlights of the garden include the Japanese Traditional (with teahouse), English Landscape, French Formal, Mother and Child Forest and the Taiwan Pavilion. Please note: If you want to enter the Shinjuku Gyoen you will have to pay a small fee (About 2$. This of course may change with time). View of the Shinjuku Gyoen. You would be happy to know that Tokyo in spite of being such a developed city is not just a concrete jungle. The city is filled with opportunities for nature lovers and adventurists. It is home to various parks, gardens, and nature trails. If you're a nature lover we would advise you to join a hiking group and explore the nature trails and forests of Tokyo. The best thing about these hiking groups is that they include both locals and tourists. If you are not interested in hiking, you can spend some peaceful time at one of the gardens or parks of the city. Tokyo even has sites ideal for camping and spending nights away from the busy city life. There are several other free attractions in Tokyo that we couldn't include in this write-up. Examples include the Imperial Palace. It's the same place where the Emperor and Empress of the country live even today. As visitors, you would be allowed to enter a few meeting halls and public rooms the palace has. However, remember that to visit this palace would require you to have an appointment. Another place you should visit is the Japanese Sake Information Center. Here, you would get to see how sake or Japanese rice wine is made. What's more, during your visit to the Sake Information Center, you will be able to taste the finest Japanese Sake. For that, you will have to visit the nihonshu tasting area. 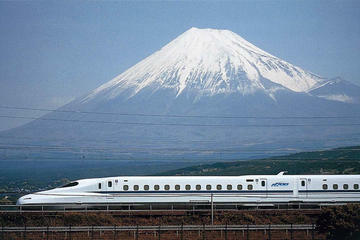 There are many exciting adventures you can do in Tokyo and its surroundings. Check out some of these tours. Have you ever visited Tokyo? We would love to hear about your experience?